Pizza Quiche is delicious. Originally I tried it at my friend Rachel's house. She made it from the Carnation recipe. I've made it in its full version, and now in it's baby version. Both are yummy! Uh-oh. I am not 100% sure if this recipe is accurate. I made this using a recipe on the back of a Pillsburry single sheet crust, that I cut into 12 squares. When I made these I only made 12. 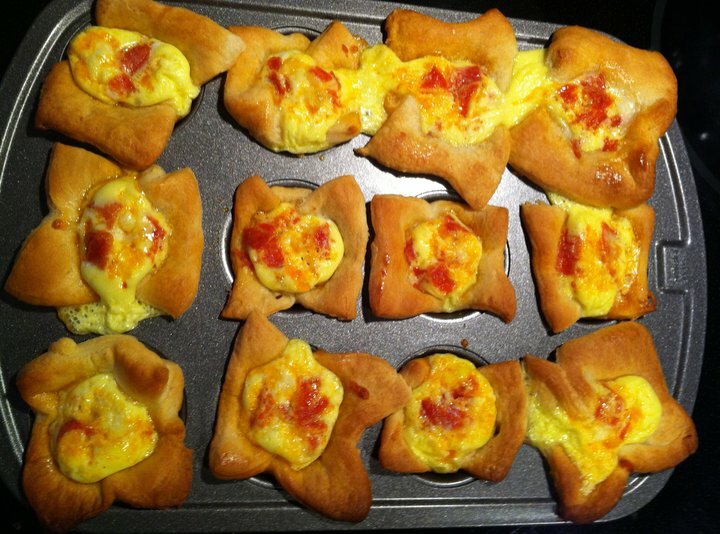 I found this recipe on the internet and here it is. Just do me and yourself a favor and do what feels right. Don't feel like you can't use more or less pepperoni or milk. 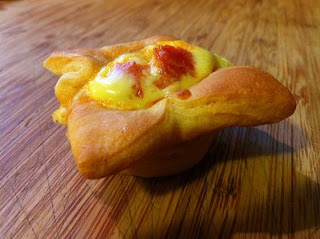 Basically, you put crust in each mini-muffin cup, then cheese, then pepperoni, then milk and egg mixture. Ta-da! 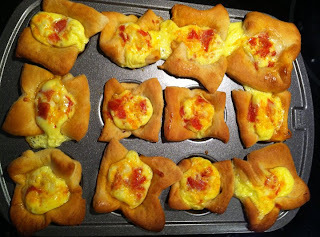 Very easy and yummy as can be. 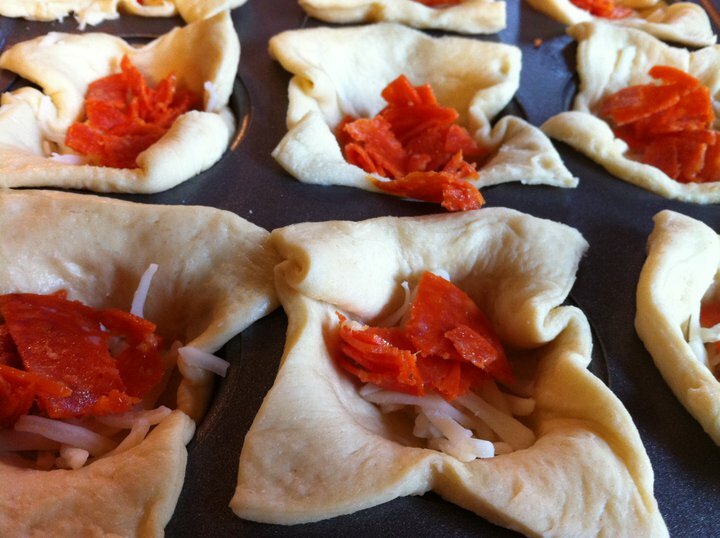 Remove pie crusts from pouches; place flat on cutting board or pastry cloth. With 2 1/2-inch round cutter, cut 12 rounds from each crust. Press 1 pie crust round into bottom and up sides of each muffin cup. Sprinkle a little cheese in each cup. Top each with a a little pepperoni pieces. In 2-cup measuring cup, beat eggs, milk, and salt with fork until well blended. 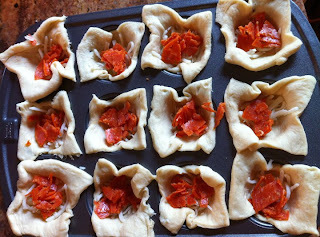 Pour mixture into crusts, filling to within 1/4 inch of top. Bake 25 to 30 minutes or until golden brown. Cool 2 minutes. With tip of knife, lift quiches from cups. Serve warm.